In an example highlighting NPR's biased news judgement, the network devoted a feature to lamenting the Congressional decision to withdraw funding for a Palestinian version of Sesame Street, but ignored the Mufti of Jerusalem's call to kill all Jews. CAMERA analysis shows that aid to the Palestinian Authority during the second Intifada may have had unintended negative consequences. CAMERA's correlation of foreign aid to Palestinian homicides recently featured in an article by Daniel Pipes, "Fund Palestinians, A Bad Idea," has generated much comment and argumentation. As Western governments meet in Paris to agree upon a massive new aid package for the new Palestinian government, a disturbing correlation between the amount of aid to previous Palestinian governments and the number of homicides committed by Palestinians warrants analysis. The US and EU have begun massive infusions of aid to the Palestinian government. Past efforts using aid to promote Palestinian moderation and economic stability have not worked. Will this time be different? Christiane Amanpour gained fame by using her role as a journalist to advocate on behalf of Bosnian Muslims who she believed were threatened by genocide. Now her brand of advocacy journalism is being applied to promote an anti-Western and anti-Israel narrative. 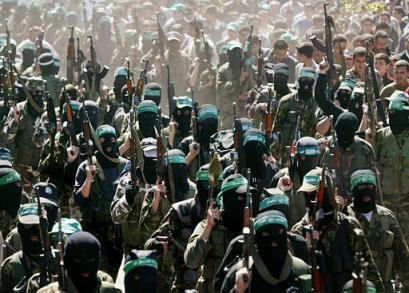 Ofxam campaigns for international aid to Hamas despite the group's escalating rhetoric, involvement in terror operations and preparations for broader military confrontation with Israel. Despite numerous reports to the contrary, international aid to the Palestinians has increased since Hamas's electoral victory in January 2006.